Ron Westphal Chevrolet is a local Chevy dealer offering a wide range of trucks to meet a variety of different customers’ needs. Whether looking for a small pickup truck, a commercial truck, a full size truck to haul and tow, or a cargo van, we will be able to help you find the right truck to meet your needs. The Chevy Colorado is a midsize truck with a number of different options to make the Colorado the perfect truck for a number of different types of work settings. Additional safety features and the ability to stay connected allow you turn your truck into a mobile office. The Chevy Silverado 1500 is a full sized pickup truck on the road today. It is the longest lasting truck available, and is recognized by J. D. Powers as the most dependable truck in its class. The Chevy Silverado 2500HD is a full sized truck designed to do heavy duty work. As a result, it provides two different heavy duty engines to get the job done right every time. The Chevy 2500HD is a heavy duty truck designed to take on the toughest workload. 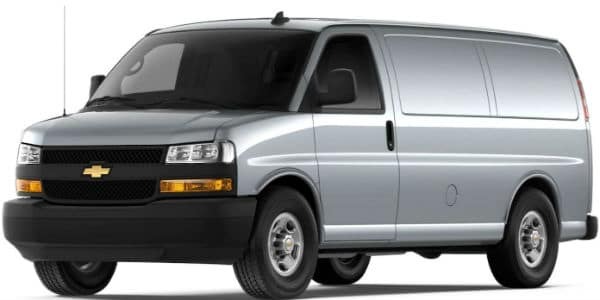 Ron Westphal Chevrolet is a locally owned and operated Chevrolet dealership that has multiple trucks and cargo vans to meet a variety of personal and business needs. To determine which is right for you, browse our website, or stop into the showroom and speak with a team member and we can help you find the right truck for you.